Topic of the Week: What’s your pick for the best game of 2016? It’s the one-day-late Topic of the Week for very nearly the final time in 2016 – just a couple remain. That means there’s only one topic to discuss. Go on, you know you want to tell us – what’s the very, very best game of the year? 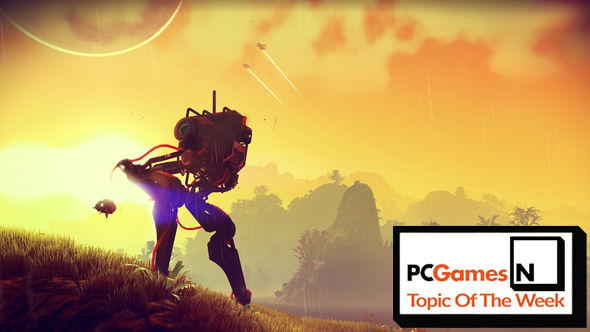 We’ve been collating our own picks for PC GOTY 2016 – do have a read. On the team, Phil’s already talked about just how good Doom is, while today’s entry has the rarely-seen Joel giving us all the business on why and how Hitman took the crown for him. You’ll have to wait to see the rest, though I can tell you there’s a lot of good choices in there and a couple of surprises as well. It’s truly been one of the best years in gaming ever, especially on PC, and there was almost too much to choose from. While we’re here – Final Fantasy 15 made a strong late play for me, though I couldn’t pick it for the site. Do give us your console picks as well if that’s what you truly loved this year, sometimes they do just about push through. Next week we’ll be asking for what you’re most anticipating, because there’s an awful lot of PC games in 2017.